Sennett Devermont is gearing up to greatly expand a social media service that a lot of drivers would probably find useful. Exactly how they will find it useful is open for debate. The service, called Mr. Checkpoint, sends subscribers alerts about the locations of police speed traps and DUI checkpoints in real time via text message. While this app seems an obvious choice for avoiding said checkpoints on the drive home after tipping a few back at the pub, Devermont claims his app is actually designed to cut down on drunk driving, not enable it. Currently only offered in California, the free texting service also shares discounts to local sponsors’ messages which offer services such as ride-share programs, designated drivers and affordable auto insurance rates. In addition, Mr. Checkpoint offers a DUI Tip of the Week on its website. The plan for taking the service national includes launching a free downloadable app scheduled to be available within a month. Devermont said the app will alert users when they are in a 30-mile radius of DUI checkpoints and speed traps, providing them with a map and list of the locations. Despite criticism that Mr. Checkpoint actually facilitates rather than deters drunk drivers and speeders, Devermont insists that the app is aimed more at ensuring public safety and encourages people to be more responsible behind the wheel. Devermont, 25, said when he first launched Mr. Checkpoint in 2011, he was charging a monthly fee for the service but decided to offer it for free when he realized its true benefits. Mr. Checkpoint, said Devermont, is really an educational tool. When singing up to receive notifications on the service’s website, potential users are required to type the pledge “I will never DUI.” The service then sends you a message via text requesting that you respond back identifying the area in which you would like DUI checkpoint alerts provided from a list of locations in your area. In California, the designated DUI service areas for Mr. Checkpoint include Los Angeles County, Orange County, San Diego County, Inland Empire and Kern County. Cell phone users can also subscribe to the service by texting NODUI to the number 51515 to receive the DUI checkpoint alerts. Devermont said most of the information provided by the social media service is already available on local police department websites. He said his focus is on gathering the data and disseminating in it in a way that it reaches people more effectively − via their cell phones, of course. Mr. Checkpoint currently has over 43,000 active twitter followers and just recently sent out its one millionth text alert since the service was launched. Devermont believes Mr. Checkpoint is more effective than other drunk-driving campaigns because the media platform is more targeted. “I’m actually in the demographic that unfortunately is responsible for a lot of drunk driving and I know that this service is reaching them…because the numbers show it,“ said Devermont. 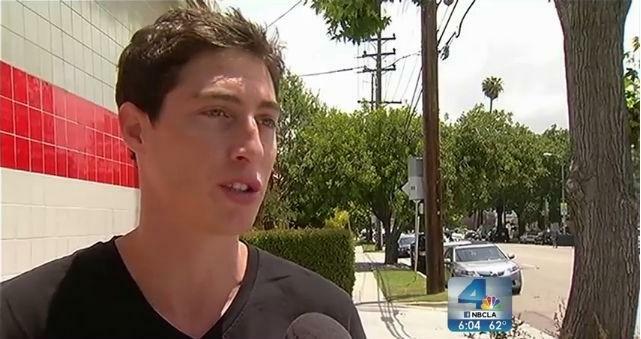 His interest in DUI checkpoints was sparked in 2006 when he was 18 and singled out at San Diego college party by police for underage drinking. Devermont said he was told he’d failed a field sobriety test, although he insisted he hadn’t had a drink. When asked to take a breathlyzer test, the machine registered zero, he says. In 2011, he taped San Diego police doing a number of things that he notes as illegal on a videoduring a DUI checkpoint in which he was asked to take a sobriety test and passed. Devermont said he’s hopeful that Mr. Checkpoint will help draw more attention to these kind of issues as well. We’ve posted the video below. 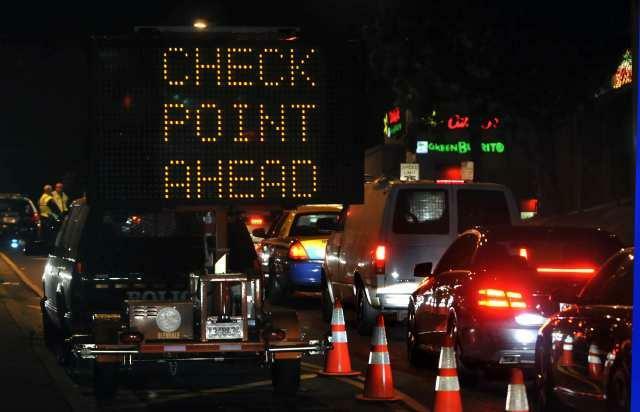 Pat Rillera, executive director of Mothers Against Drunk Driving (MADD) in Los Angeles, said that while she wasn’t aware of the plan to expand Mr. Checkpoint, she has doubts about Devermont’s real objective. Emphasizing that MADD does not support Mr. Checkpoint despite some previous claims, Rillera said that Devermont’s assertion that the service seeks to deter drinking and driving is still uncertain. Hoping to attract more advertisers to his social media site, Devermont is quick to note that the SMS texts can be sent to any cell phone with multiple links, phone numbers, pictures and even video. The platform for the service is also set up to so that messages can be specifically targeted for certain types of devices allowing sponsors to send different messages to either iPhone or Android users. Taking the service national, however, is sure to have even more people questioning – is Mr. Checkpoint a good thing or a bad thing? What’s your call? Leave a comment below the video.